In the latest interview in our Q&A blog series, we talk to Dr Emma Sceats, CEO of CN Bio Innovations, an Oxford University spin-out company that develops human organ-on-a-chip technologies for use in drug discovery, safety testing and basic research. Formerly responsible for managing technology transfer at Oxford University, and with over a decade of experience in nurturing university spin-outs, Emma tells us about the challenges facing biotech start-ups and shares her advice for successfully translating life science research into commercial applications. Could you tell us a bit about the work that CN Bio Innovations undertakes? CN Bio Innovations develop human organs on chips. These are miniature devices, around the size of a smart phone, that incorporate human cells taken from living tissue into microfluidic devices. We use these devices to study the effects of drugs and other chemicals on organ function. We have developed both healthy and disease models of a range of tissue types and can use these to predict with precision how safe and effective new medicines will be in the patients they are intended to treat. We are currently the commercial partner in a $26 million US government funded programme focused on developing a complete human body-on-a-chip device. Our goal is to link ten organs together on a single tablet sized device. We were the first team to reach the milestone of creating a seven organ device earlier this year. The aim of this programme is to provide a real alternative to animal testing, particularly for medicines or diseases where it would be difficult or unethical to perform testing in the normal way through clinical trials. These devices could be used to test new medicines for diseases where there is not a stable patient population, such as Ebola, for instance. We’re working hard to refine a suite of next generation devices which make organ-on-a-chip technology affordable and widely available to industry and academic researchers. One example of the updates we are building in is to use new materials to manufacture our devices which avoid absorption of the drugs being studied. Researchers who use microfluidic technologies have been plagued by materials which absorb drugs. This is a huge problem when you’re dealing with extremely precise drug dosages and evaluating their effects. 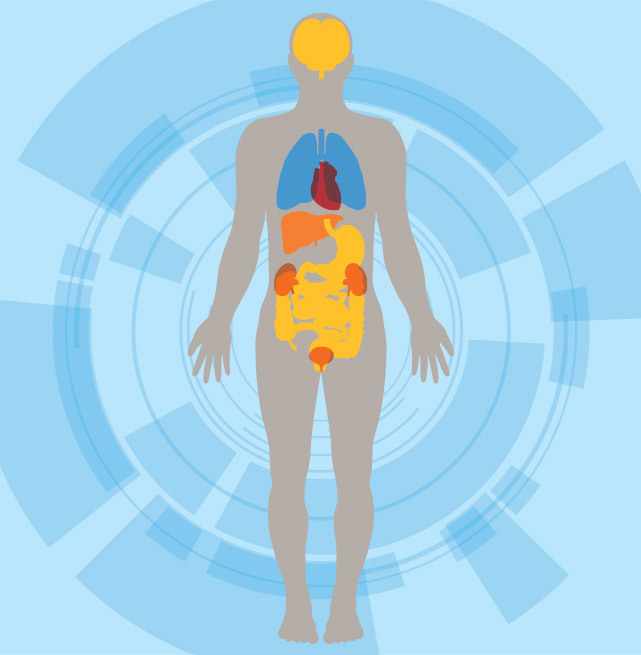 How is organ-on-a-chip technology being used to benefit human health? There is a huge demand for better treatments for all types of disease – particularly those which affect and will affect so many of us such as Alzheimer’s, obesity and cancer. CN Bio’s organ-on-a-chip technology provides pharma and biotech companies with better tools to speed up the process of finding new medicines. We’re also about to start work on a research programme into non-alcoholic steatohepatitis (NASH). NASH is a form of liver disease that is linked to diabetes and obesity. We have developed organ-on-a-chip devices that recreate the physiological and mechanical microenvironment of the liver, and combined gut and liver systems. Using this technology we hope to identify new medicines for patients that have NASH, who would otherwise go on to develop liver failure if left untreated. You’ve been working with university spin-out companies for over a decade. What advice would you give to academics looking to commercialise on their research? Life science research is very expensive! Therefore when you decide to spin out a company, timing is everything. If you spin out too early, investors can end up bearing the burden of years of expensive, high risk research that may well fail. Of course, if you spin out too late you miss the market. There have been many instances where start-ups have developed great technologies, but have been commercially unsuccessful simply because they were ahead of their time, or were just a year late in entering the market. It is essential for academics to develop a clear roadmap that identifies the technical hurdles they will need to overcome. For instance, an academic planning to produce a medical device will find that one of the most significant challenges will be around addressing the regulatory pathway. I’d encourage our hypothetical academic to consider this regulatory process, think about how they could develop an instrument or device that would meet these requirements, and identify the partners they should work with to achieve this. Most importantly, academic entrepreneurs should try to identify the highest risk components in their technical plan as early as possible, and see if they can be addressed at the start of their project. Investors don’t want to hear that they will need to fund three years of expensive research before hitting the most technically problematic stage. I appreciate it’s not always that simple, but if these challenges can be addressed up front, it will make a huge difference to an entrepreneur’s ability to raise funds. Funding bodies and university commercialisation offices are responding to this challenge and there are now many good sources of translational funding which can be used to bridge this gap. How important are networks when commercialising fundamental research? Networking is absolutely crucial when considering launching a spin-out company. In my experience, people in the biotech and pharma industry are very generous with their time and are often happy to talk. Poster sessions provide great opportunities for academics to engage with industry people and ask questions about the market or around particular technical challenges, and they are usually willing to share research ideas. Licensing offices play an important role in bringing industry contacts into universities, providing academics with an opportunity to sit down and brainstorm ideas. I spend most of my time out and about, talking to those engaged in research about what we do and where there are opportunities to partner. It’s amazing the things you can learn through talking to people. It’s also important to champion the success stories in our industry, particularly in the UK, and this is something BioBeat excels at. When we develop new technologies that change the way healthcare is conducted I think we need to tell people outside of our industry too, such as finance and government, and BioBeat plays a really important role in facilitating this.